These students define what it means to "fight like a girl!" Guests from R.A.D. 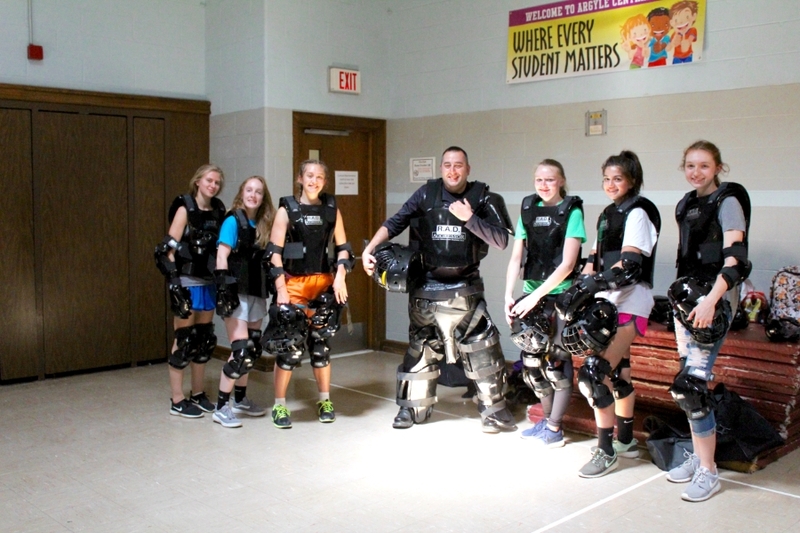 Systems of Self Defense came in to teach our senior girls how to protect themselves in harmful situations. This group provides a holistic approach to self-defense education through lecture and physical resistive practice. The class ran drills of realistic scenarios and practiced techniques with protective equipment, allowing them the opportunity to fight with full strength. The girls gave it their all and earned some piece of mind as they fought off attackers in mock ATM machine muggings, dorm room intrusions, and other common situations that the students could potentially face.